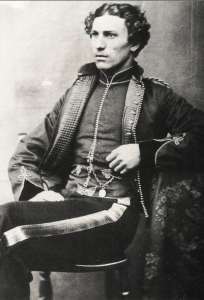 This uniform has been thoroughly researched, and is accurate in almost every detail. 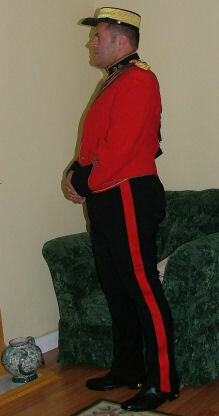 The Jacket and Trousers started out as a 1960 Canadian Artillery Major's mess dress uniform. 68 small brass buttons have been added to the front. The Epaulettes were removed and reproduction RE shoulder boards were added. The waistcoat was made from scratch. 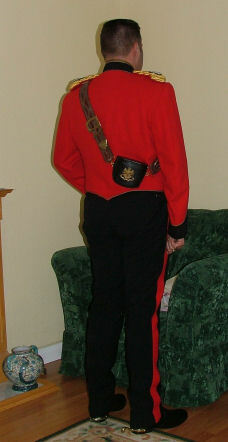 Although generally not worn with the mess dress, the Pouch and belt is all original. As the image below shows an officer wearing one over his jacket, I have decided to wear mine too. The Forage cap is a Thin Red Line production with the gold band added by myself. Perfectionists will note that the cuffs and rear of the jacket are not quite right. I will attempt to correct this in the fullness of time. 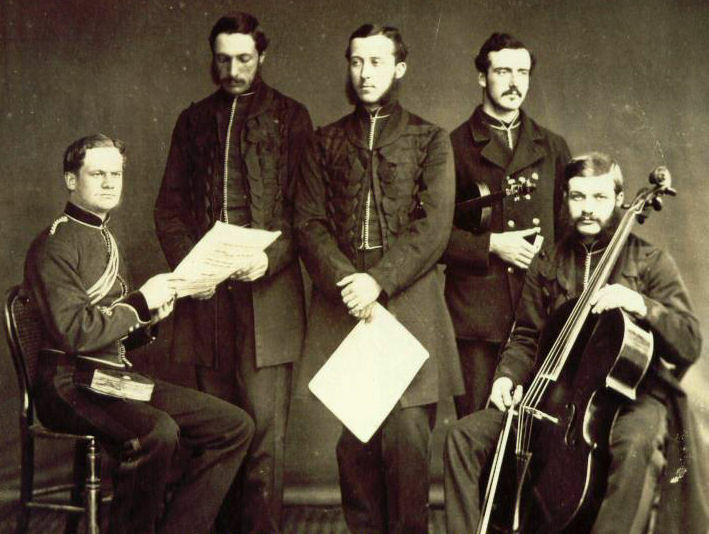 Left (robbed from the Columbia detachment Royal Engineers living history group website) and below are some pictures of original Royal Engineer Officers wearing Working/ Mess uniforms. 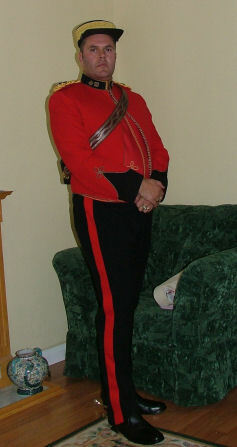 Another picture of an Officer in Mess dress wearing pouch belt. 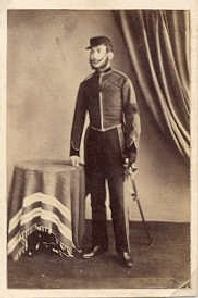 He is also wearing his sword with the belt under the jacket. Copyright(c) 2010 The Victorian Strollers. All rights reserved.